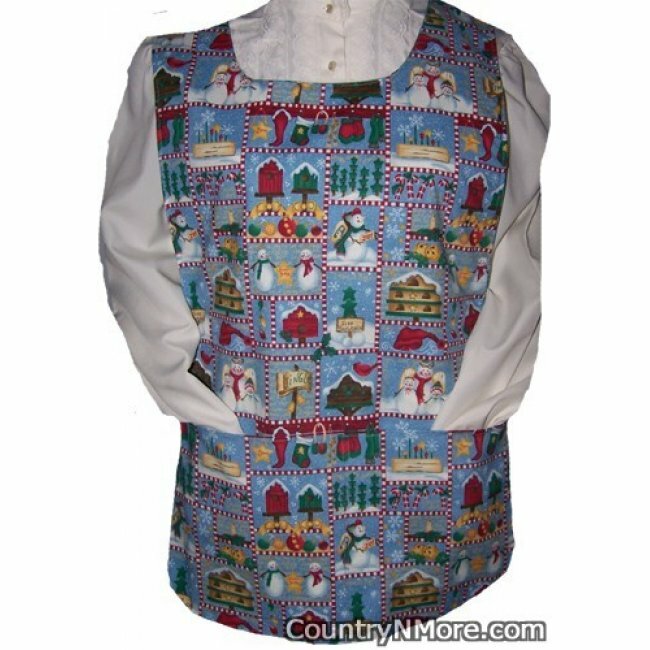 This apron can be worn year round. 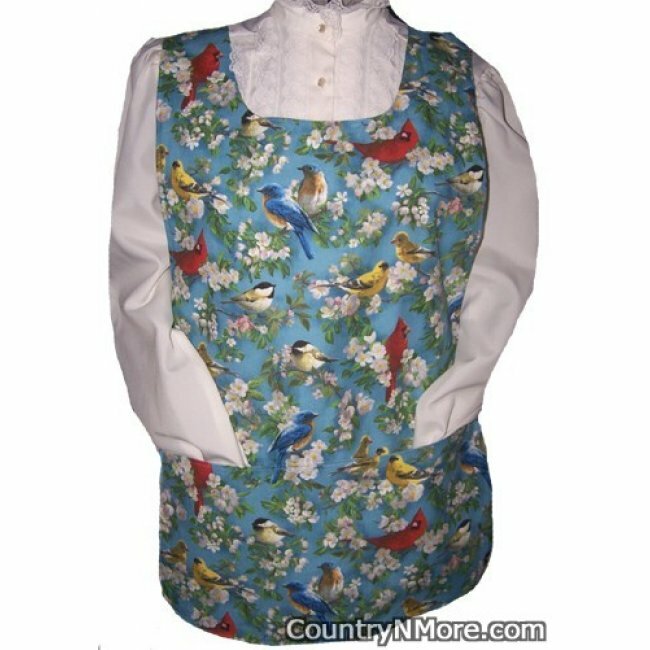 The front of the apron was made using an adorable spring bird print. What a wonderful way to brighten up you life! The reverse side is made from a Christmas holiday print, which can be worn throughout the winter season. There are birds, birdhouses, and snowmen.